An infographic released today by realtor.com indicates that it is — by quite a bit. 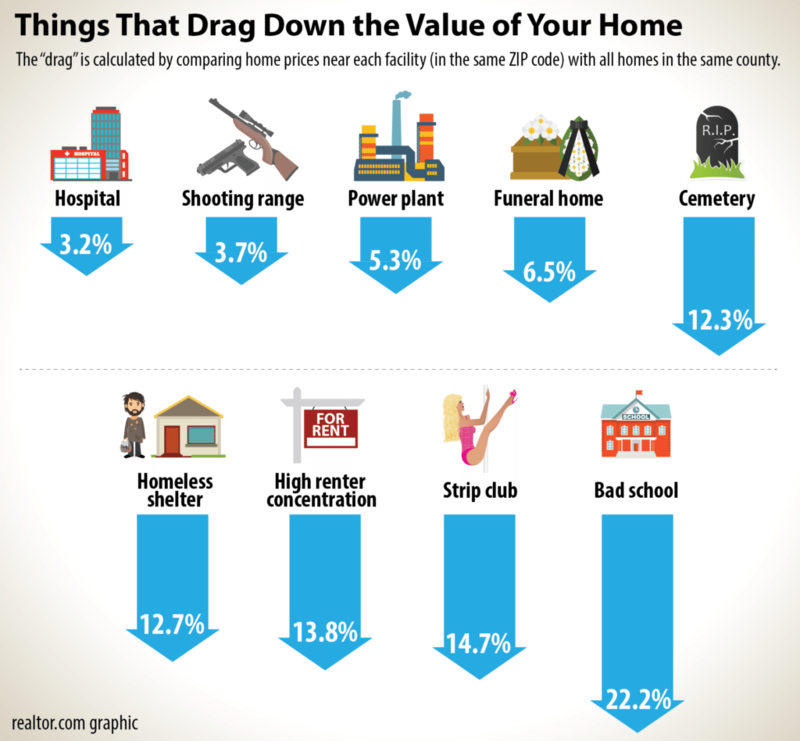 The company examined home prices and appreciation rates in ZIP codes that included what realtor.com termed a “drag-me-down facility.” As the infographic indicates, those unwelcome additions to neighborhoods included hospitals, shooting ranges, power plants, funeral homes, cemeteries, homeless shelters, high concentrations of renters, strip clubs or bad schools. Realtor.com limited its scope to ZIP codes within the 100 largest metropolitan areas. The company noted that correlation doesn’t equal causation, but consumers — and industry professionals — will no doubt find these conclusions fascinating.